Chrome OS users will be seeing an updated version hit their Chromebooks and other devices over the next few days. Build 44.0.2403.156 (Platform version: 7077.134.0) for those keeping score at home, was released yesterday and it is primarily a bug fix and stability improvement build. As with all Chrome OS updates, the release will be pushed down to devices automatically. Usually the Chrome OS team publishes the release notes on a build in the Chrome support forums but at the time of this post, those note have not been released. Once they are released I will update this post with the highlights. 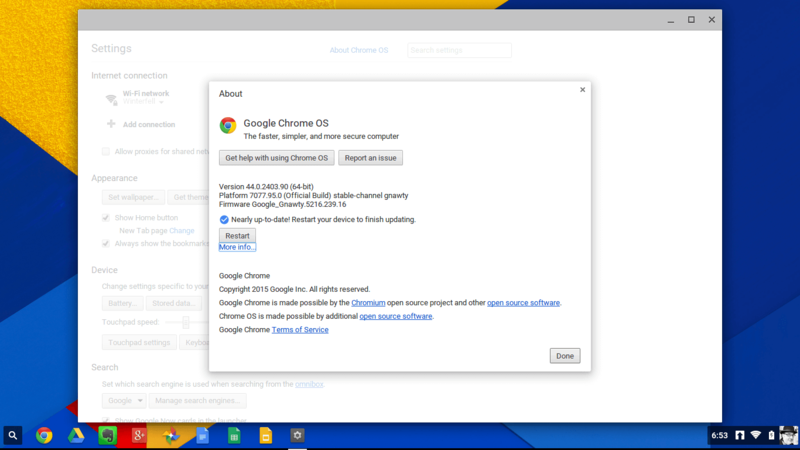 Users of this update to Chrome OS are encouraged to upgrade once the build is available on your device and to report any issues in the Chrome Forums.